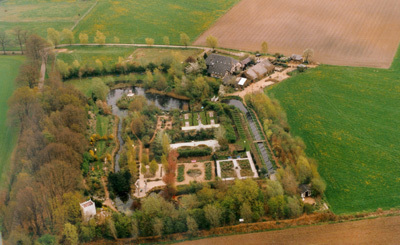 In 1993, Charles van de Nieuwegiessen and Hans IJzerman bought the farm “het Groot Hontschoten”, including 2 hectares of maize-and grassland. As early as 1380 “Het Hontschoten” (belonging to the oldest estates in this part of the country) is mentioned when Herman van Apeldoorn is granted both estates by the Bishop of Utrecht.In 1380 there were already 2 farms at Hontschoten.Before 1380, one part had already been separated from the original estate and then the names Groot and Klein Hontschoten come into being. “Het Hontschoten” is situated on a natural rise, an embranchment of the Veluwe-massif. 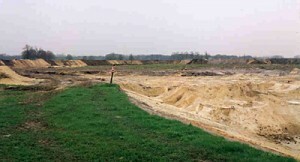 The first farm will probably have been situated on the highest point. Around 1800 it was due to Napoleon that the old road Apeldoorn-Deventer, as part of the road Amsterdam- Deventer, was constructed. 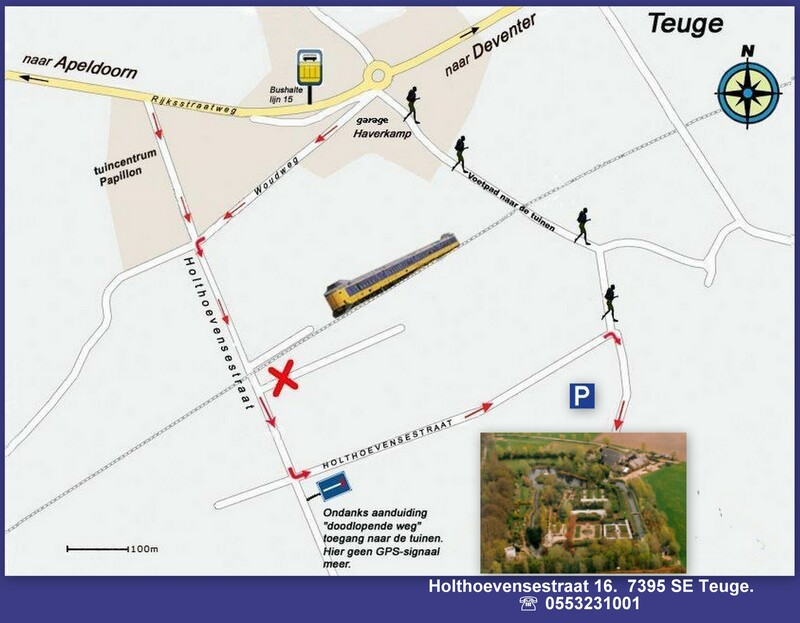 Via oral tradition, the older inhabitants of Teuge can still tell that the old Twello-Apeldoorn road skirted the Bolkhorst farm and went around the farm Groot Hontschoten on to Apeldoorn via the Veenhuizerweg to link up with the present road just before the “Tol”. Tradition has it that this part of the road was called the Napoleonroad. Driving on the very last part of the road to the gardens ( the “Holthoevensestraat”) you pass along a piece of history: the Napoleonroad! Since 1993 the maize-and grasslands of the farm have undergone a miraculous transformation. Just look at the surrounding farms and the land belonging to them. This piece of land where Charles and Hans do “something” with nature, viz. creating, does something to you. The enthusiasm for this spot and for its makers will be understandable and will, no doubt, become clear when you have been there yourself and….will return again and again. There is always something happening. The planning of these Life-Gardens will make a visit fascinating throughout the year. An original idea to treat friends and acquaintances to a memorable day. You will get a huge portion of positive energy..!